Besides all the beauties, Croatia contains some breathtaking national parks. There are eight national parks in Croatia, all unique in their natural beauty and tranquility. 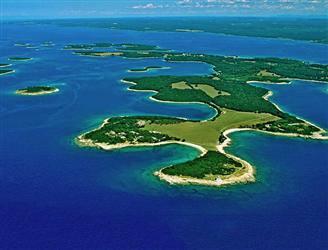 The Brijuni archipelago comprises a group of two larger and twelve smaller islands lying along the west coast of Istria, not far from Pula, and which have a total land area of 7 km2. The islands of Brijuni are famed for their well preserved Mediterranean flora like holm-oak trees, lofty dense underbushes, pines and cypresses, partly shaped like a landscape park. On Brijuni you will also find a safari park with mostly exotic herbivores as well as the valuable cultural heritage dating from Roman and Byzantine times. The Kornati archipelago, the most intented island group in the Mediterranean, is situated in northern Dalmatia, not far from Šibenik. This real labyrinth of sea and rocks comprises 140 uninhabited islands, islets and reefs and has an area of altogether 70km2. In the immediate vicinity of the Kornati National Park, which includes the biggest part of the archipelago and the surrounding sea, is yet another jewel of Croatia ‘s protected nature – the Telascica Nature Park. It contains the spacious and deep Telašcica Bay on the neighbouring island of Dugi otok in which are situated several beautiful small islands and a small salina. The Kornati archipelago is noted for its varied and unusual forms and extraordinary relief structure, especially the high cliffs. 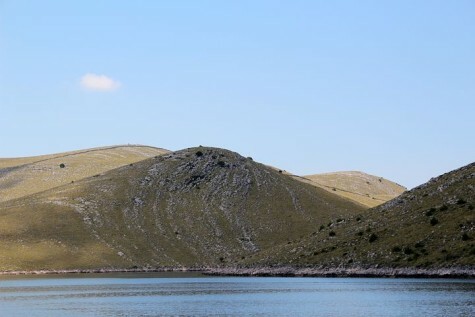 However, the highest cliff with about 180 meters is found on Dugi Otok in the Telašcica Nature Park. As the Kornati islands are one of the most popular destinations for navigations on the Adriatic, it is not unusual that you can find in the park ‘s vicinity ten marinas. Among the rivers in the Croatian karst Krka is for sure the most strange one. This river is known for its numerous waterfalls which, like those at Plitvice Lakes, were created through the sedimentation of a special form of limestone. 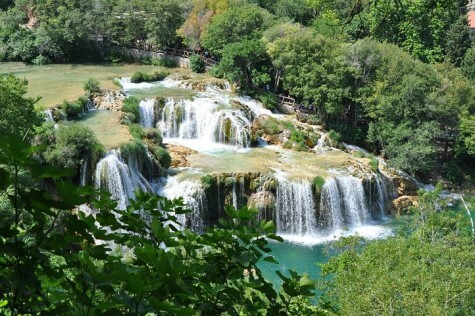 The park includes the larger part of the course of the River Krka, together with the coastal area, from the historical town of Knin, near the river ‘s source, to Skradin, another historical town. Here after some magnificent waterfalls the river gradually wends its way into Lake Prukljansko and thereafter into the deep sea bay where the historical town of Šibenik is situated. The river partly flows through a deep canyon carved into a limestone plateau and partly forms lakes. Among the numerous waterfalls of particular beauty are the Skradinski buk and the Roški slap between which the rivers forms a lake where is situated the Island of Visovac with its remarkable Fransiscan monastery. The island of Mljet is situated in the southernmost part of Croatia, west of Dubrovnik, unarguably Croatia ‘s best-known summer destination. 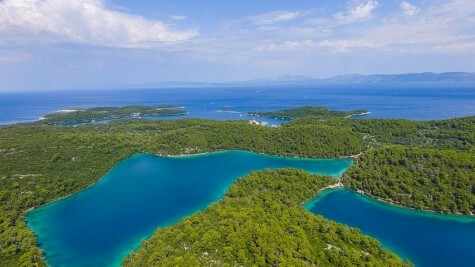 The Mljet National Park includes the western part of the island, which a lot of people consider to be the most beautiful in the whole Adriatic. The park is characterised by two deep bays, which are referred to as lakes due to their extremely narrow passages to the open sea (Veliko and Malo jezero -Great Lake and Small Lake), as well as by lush and diverse Mediterranean flora. Mljet is also noted for its wealth of cultural heritage the most impressive example of which is a Benedictine cloister complex dating from the 12th century situated on a small island in the centre of the Great Lake. Paklenica includes the most attractive sections of Southern Velebit, including its loftiest peaks. The two impressive canyons of Velika and Mala Paklenica are the main attractions of the park. In the relatively small area that comprises the national park there are several remarkable karstic forms, a number of caves and also well preserved and extremely rich and varied flora and fauna. Between the steep rocks one of the key attractions is Anin kuk, the most popular alpinist venue in Croatia. 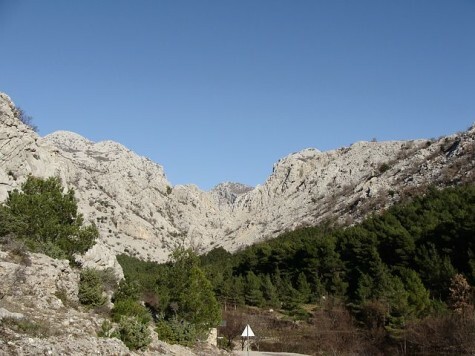 Despite its wilderness and preserved nature the Paklenica National Park is easily accessible to visitors, as it is close to the Adriatic tourist road and the City of Zadar. The Plitvice National Park, the most widely renowned of Croatia ’s national parks, is entered in the UNESCO Register of World Natural Heritage. Sixteen lakes interconnected by waterfalls created through the deposition of travertine, a light-coloured calcareous rock, constitute the chief attraction of this unique park. The wellspring of the River Korana issues from an area within the park, surrounded by dense forests of beech, fir and spruce, partly in the form of primeval virgin forest. Apart from the lakes and forests the park also contains several caves, springs and flowering meadows, and is inhabited by many rare but (here) still preserved species, one of these being the brown bear. It is a moot point as to when the park is at its most beautiful. Is it in spring, when the meadows are covered with flowers, in the autumn, with its numerous seasonal hues mirrored in the lakes, or perhaps in winter, when the waterfalls and surrounding trees are hushed and shrouded in ice in the snowbound landscape? The popularity of this park is augmented by the forms of transport used for conveying visitors around its various parts (panoramic trains and electric-powered boats), as well as the convenient geografical position. Risnjak is a forested mountain massif situated not far from the City of Rijeka and which takes its name from the lynx (Croatian:ris), the mountain ’s best-known resident. The Risnjak National Park extends across and up an area rising from 300 to 1500 meter above sea level. Within this relatively small area are found all types of forest, as well as many plant and animal species, featuring the brown bear, lynx, marten, dormouse, deer and eagle. 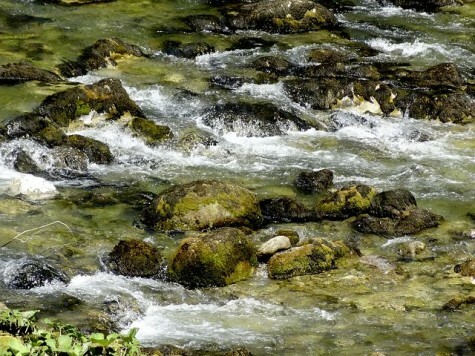 The beauty of the forest, the karst phenomena, attractive springs and magnificent views attract countless hikers and other nature lovers to Risnjak. Northern Velebit is the youngest of Croatia ’s national parks, having been declared a national park in 1999. The park comprises the most attractive and, with regard to nature, the most valuable areas of the northern part of the Velebit range. A large number of attractive sights are concentrated in this distinctly mountainous park -the magnificent karst forms of Hajducki and Rožanski kukovi, a unique botanical garden, and Luka ’s cave (one of the deepest in the world). 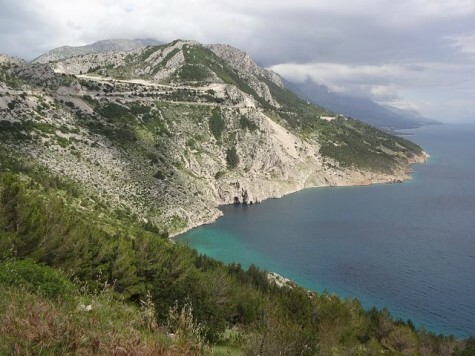 Croatian mountaineers consider this area to be the greatest jewel of Croatia ’s mountains. Due to its remoteness from main roads this area is somewhat less well visited, but this serves only to enhance and preserve its mystic and primeval natural ambience.